Join the loveable cast of Friends in WMS’ official slot which has 5 reels and 40 paylines. Based on the iconic television show, you’ll see hilarious clips of the show – there are lots of bonus features including free spins with 3x multipliers, persisting wilds and walking wilds. There’s also plenty of fixed jackpots to be won which go up to 2,000 times your total stake. Friends is a 5 reel, 40 payline slot from WMS that is based on the sitcom television series. Playable from 50p to £100 a spin on all devices, you join the loveable cast with plenty of bonus features including fixed jackpots, mystery stacks, free spins and a wheel bonus where you get access to 4 more bonus features! 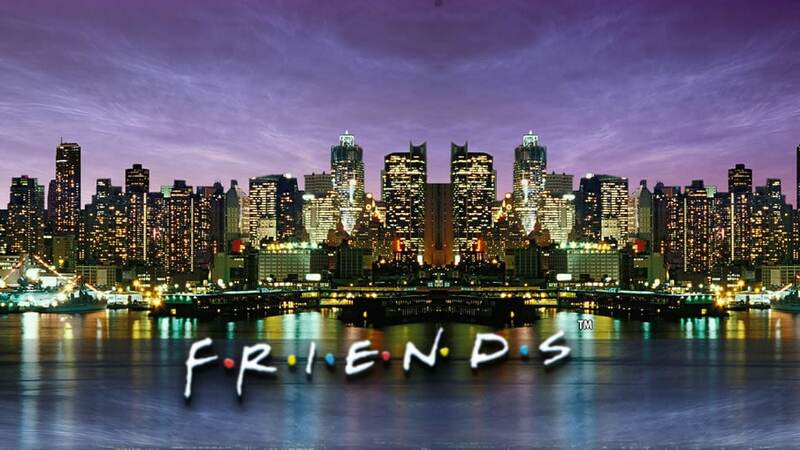 With plenty of branded slots available, it was about time Friends was brought to life in slots form – with the theme song I’ll Be There For You playing as you spin the reels, you will see the New York City skyline in the backdrop. Symbols on the reels include a Central Perk cup, Phoebe’s guitar, the Central Perk logo, Joey’s birds, the turkey Monica wore on her head, Monica and Chandler on the telephone, Ross and Rachel kissing, all 3 men (Joey, Chandler and Ross), all 3 ladies (Monica, Rachel and Phoebe) and all 6 cast members. The latter is the most rewarding giving you 0.8 times your stake for 5 on a payline. There’s also a wild (represented by all 6 cast members) which replaces all symbols bars the Jackpot Wild and Wheel Bonus symbols – 5 on a payline will give you 10 times your stake. The Jackpot Wild also substitutes for all symbols bar the Wheel Bonus symbol. If you get a full stack of the Jackpot Wild symbol on reels 2, 3 and 4, you’ll trigger the Jackpot feature where your prize is a cool 2,000 times your total stake. There’s also a Mystery Stacks feature – every reel contains mystery symbol positions that are randomly replaced by 2 or 3 symbols when each reel spin begins. All mystery symbol positions are replace with the same symbol to enhance your winning potential. During the Free Game Mystery Stacks feature, the same will apply – this occurs in the free spins features described below. Wedding Bonus feature – you get 10 free spins with persisting wilds. Any wild symbol that lands will remain in place (sticky) for the duration of the feature. Party Bonus feature – you get 11 free spins with walking wilds. The wild expands to cover 1 or 2 reels and removes across the reels. In the 1st and 11th free spin, wild symbols are locked in reel 1 whilst the wild is locked on reels 1 and 2 on free spins 2 and 10. In free spin 3 and 9, wilds are locked on reels 2 and 3. In free spin 4 and 8, the wild is locked on reel 3 and 4. In free spins 5 and 7, the wild is locked on reels 4 and 5. In free spin 6, the wilds are locked on reel 5. Bamboozled Bonus feature – here, you pick from 20 available cards to reveal the Hungry Money, Golden Mud Hut, Paradise Pond, Angel Pass or Gimmie Award jackpots. You carry on picking until the Gimmie Award or a jackpot is won – the jackpots will give you prizes of 25, 100 or 1,000 times your total stake. The Gimmie Award jackpot is 2,000 times your stake! The Friends slot is feature-packed as you’ve just read and I highly recommend you play it if you’re a fan of the show (who isn’t?). With clips from the iconic television series, it’s definitely 1 for Friends fans. The potential for big wins is low in the base game due to the low value symbols but filling the reels with wilds will give you 400 times your stake. Friends is all about the various jackpots on offer – I’ve had some decent wins via the various features in the Wheel Bonus feature with the Thanksgiving Bonus feature the most lucrative as the 3x multiplier can give you payouts of 1,200 times your stake on each free spin. Saying that, it’s all about the Gimmie Award jackpot which stands at 2,000 times your stake. Overall, a good slot from WMS which should be played if you love the show. If you like branded slots, NetEnt’s Vikings looks better and has higher win potential (10,000 times your stake per free spin).